Our “clean agent gas” automatic fire suppression systems are affordable, effective and reliable protection – no matter the vessel. Handheld powder type extinguishers are also only effective at close range, often requiring the operator to be in harm’s way. What happens when you realize the fire is fully engaged and you have to grab the extinguisher and play hero? It sure looks easy on TV but…!. Our systems don’t allow escalation of a fire, once our systems sense heat and deploy, the fire cannot continue to burn and it’s as simple as that. Quick and effective fire containment equates to a safe situation with minimal damage. “Belt and suspenders” is our motto! Our automatic “clean agent gas” or water based, non corrosive, non toxic formulation Foam “AFFF” (aqueous film forming foam)suppression systems can be installed in an engine room or box, generator, electrical compartment or propane locker quickly and easily. Any one of our on duty 24/7 passive, thermal sensitive auto deploy systems can be an affordable piece of safety equipment that extinguishes the fire quickly, with little to no damage and no requirement of persons to be in harms way. That’s an unrivaled sense of security and peace of mind for you, your family and guests, as well as your vessel or yacht. 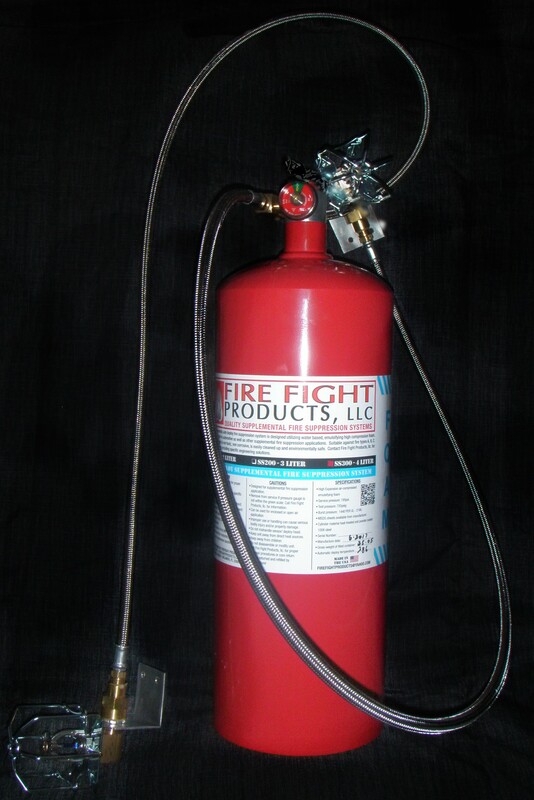 Our auto deploy fire systems are easy to install, and require zero maintenance other than looking at the pressure gauge on the cylinder periodically. They may even save you money with your insurance company! There is no periodic swapping out or servicing, if the gauge shows pressure, the unit is good to go! 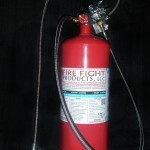 Fire Fight Products, llc. 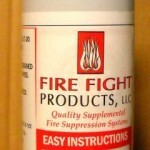 offers specialty fire suppression systems to unique markets. Our latest effort offers stainless cylinders and brackets on several models for service in the harshest marine environments. Our larger, durable enameled cylinders offer years of reliable protection and are guaranteed against leak down for 1 year.